We all know that time flies but, really, this is ridiculous. I’m certain it was just yesterday that my boys sprung out of bed, ready to enjoy the first day of summer holidays. And for that matter, wasn’t it just last week that they took their first steps, blew out their first birthday candles, told me “I wub you” for the first time? Another summer has flown and we are a mere week away from the first day of school. It has been a full year since I posted their back-to-school picture, arms draped around each other, backpacks filled with newly sharpened pencils and Nutella Sugar Sandwich Cookies. Now it is time to set my mind to quick and easy breakfast options for those busy school morning. That’s when I turn to eggs for something a little different, easy to prepare and packed with nutrients. 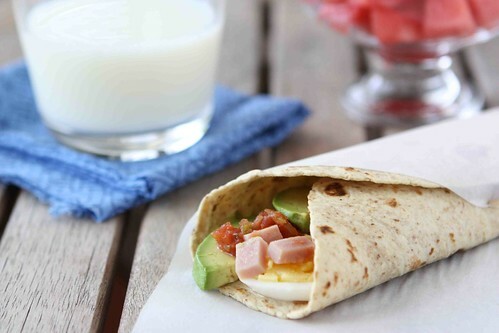 The components of this wrap, which include hard-boiled eggs, ham, avocado and salsa, can be prepared the night before and quickly assembled in the morning for a quick sit down or “to-go” breakfast. I know I am not alone when I say that my kids are very active and require meals packed with nutrients to help them through the day. My eldest son is very involved in soccer, practicing or playing with his team up to four times per week. My younger son started taking kung-fu a few months ago and claims to need extra energy to perform his best “flying Ninja kicks” – his words. On days of important soccer games and kung-fu classes, it is important to start them off with a breakfast that is full of healthy protein and provides them with the extra energy they will need to kick balls and punching bags with gusto. For our family, that means a meal of eggs, whole wheat toast or wraps and fresh fruit. There are times when I have a few extra minutes to whip up a batch of scrambled eggs or personal sized frittatas. On other mornings, however, time is so short that turning on the burner seems like an insurmountable task. That’s where hard-boiled eggs come into play. I can make a large batch to last for several days. Not only do they work as an afternoon snack to tide me over until dinner, but they are very handy for breakfasts that need to be made at warp speed. This wrap can be made with any selection of ingredients – shredded cheese, chopped tomatoes, grated zucchini, chopped turkey, black beans…the list goes on. Use your imagination and your family’s palate as a guide. Slice each hard-boiled eggs horizontally into about 5 slices. Lay the slices down the center of each whole wheat tortilla. 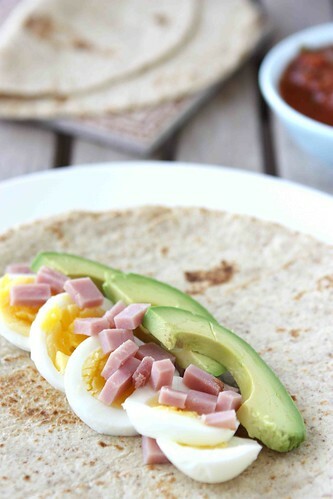 Divide the diced ham and avocado slices between the 4 tortillas, laying over top of the egg slices. Spoon your favorite tomato salsa over the avocado slices. Wrap by folding up the bottom of each tortilla and folding in the sides. Serve on a plate or wrap in plastic wrap for a “to-go” meal. Lay the slices down the center of each whole wheat tortilla. 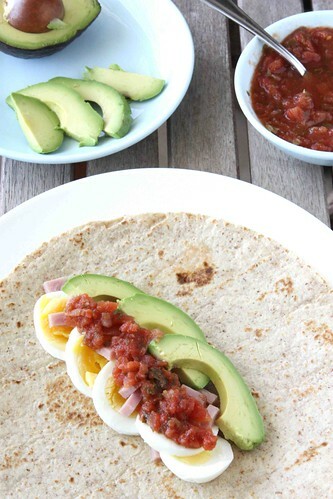 Divide the diced ham and avocado slices between the 4 tortillas, laying over top of the egg slices. Wrap by folding up the bottom of each tortilla and folding in the sides. Serve on a plate or wrap in plastic wrap for a "to-go" meal. Disclaimer: This post was sponsored by the American Egg Board. However, all opinions expressed here are my own, as evidenced by the vast amount of eggs we eat in our house! Can’t believe summer is almost over. This is such a perfect, easy, healthy lunch. Will become one of my go-to sandwiches! The summer really did way too quickly! This wrap works well for any time of day. 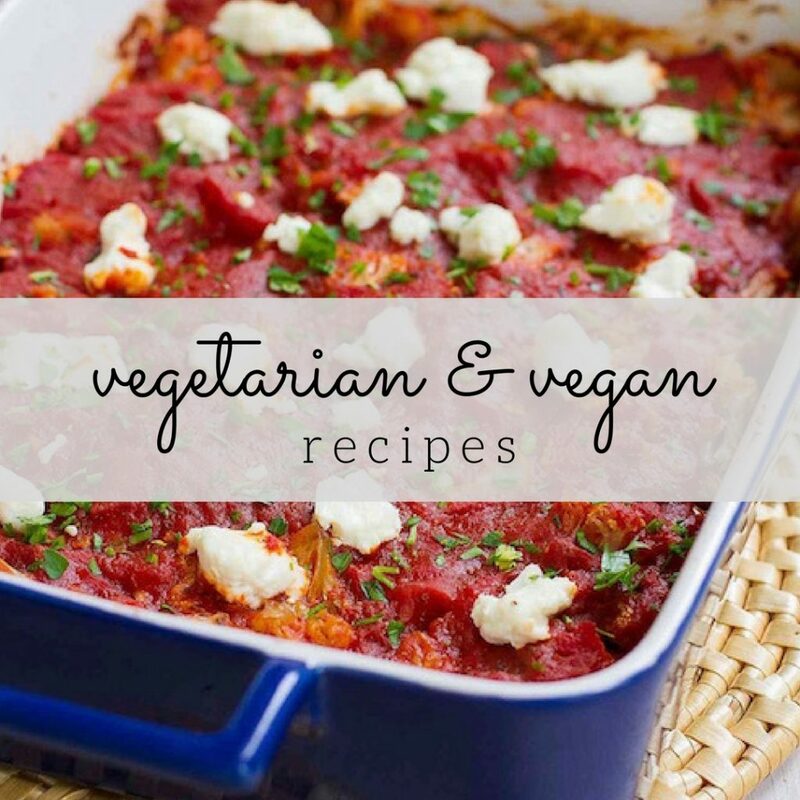 I may make this for dinner! It would be the perfect quick dinner. A healthy and yet delicious way to start the day. This is an awesome idea. Salsa makes me happy. 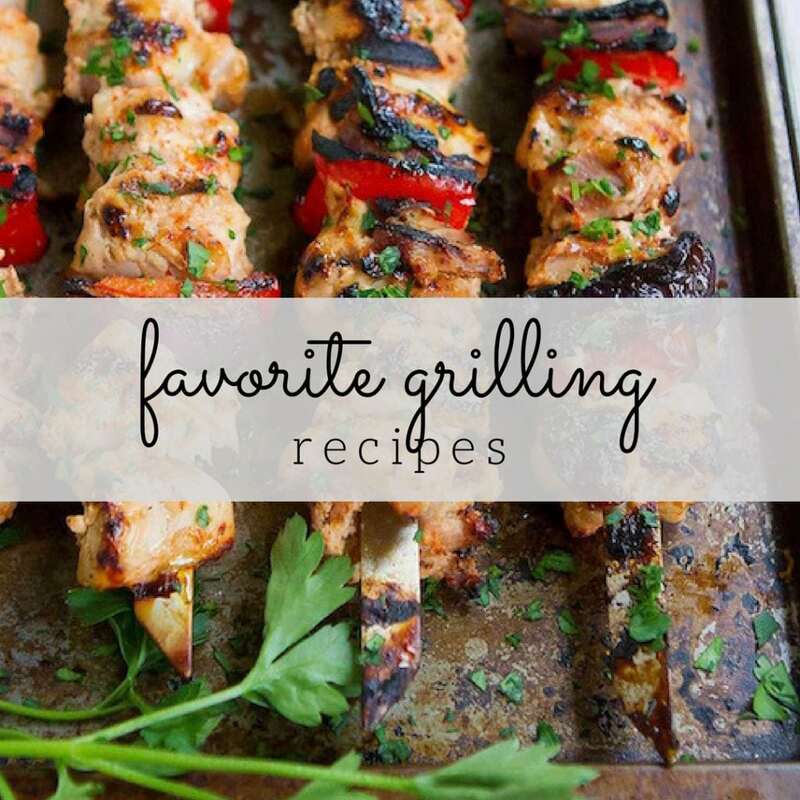 i’m all about make-ahead stuff…these look killer! Ah yes, I remember those days well. You need to have as many make-ahead options in your arsenal as possible. This is absolutely my most favorite thing to eat. Eggy tacos, eggy burritos, eggy in my FACE. I know what you mean, Sommer. It is a bittersweet time. I’m planning to make this for my boys regularly once school starts. They love all of these flavors and I can’t think of a quicker option for breakfast. I agree hard boiled eggs come ready handy for time of the day. This wraps look amazing. Nope, but you can come visit and I’ll make you as many as you like. I love make-ahead anything! Beautiful photos as usual, Dara! Thank you, Lauren. Make-ahead options are a “must” with little ones around. I know you are all too aware of that! I really makes me sad how fast summer has gone. My kids don’t start back school until the day after Labor Day but it seems like they just got out. This egg wrap looks wonderful. My kids would really enjoy it. Now if we could get the taste for avocados. Well, whaddya know? We happen to have hardboiled eggs in the fridge. How serendipitous. Great idea! Time does fly…I can’t believe school is about to start. Thank you so much for sharing with me, my sweet friend. I hope you have a wonderful Tuesday. I’m starting out strong with an egg sandwich (a slight variety of this lovely recipe) and a big cup of coffee 🙂 Much love from Austin! I think this would be a perfect quick dish for any meal. We love wraps and this looks really good. It is a nice variation from your typical egg sandwich. What a great idea!! 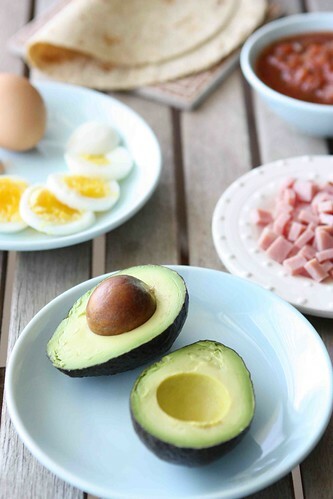 Love avocado…and egg! 🙂 The summer flew by…it really did! Looks good to me. I agree, can hardly believe it’s almost time for school. Definitely making this for breakfast today! 🙂 Sounds awesome and I bet my kids would love me even more if I made this on school days. This looks seriously amazing! I may need to make a quick jaunt to the store later and pick up some ingredients! I love fast, quick and in a hurry meals, and I love your pictures! This looks so delicious! He would kill me if he knew I was telling you this, but I still pack my boyfriends lunch everyday, and this is totally in his future! Brillant way to use hard-boiled eggs which we love to take on picnics. This will be another way to take them with us. Aren’t you so clever! The Summer’s sun has just arrived here so we can see some more cheerful picnics ahead. Love your quick and easy wrap! What a delicious idea! I’m always looking for lunch ideas I can prepare ahead of time- I’m going to try this one! Thanks! Fantastic quick breakfast idea for school days! I just might be making this for my own lunch! Thanks for the inspiration!!!! wow! this is looks so yummy! fast easy and ofcourse yummy:) love this! thank you for sharing. I would have thought scrambled eggs but not hard boiled. Love this! These wraps are great for dashing out the door, for the lunch box or any time at all. Terrific breakfast idea for days when you’re rushing out the door with the kids. Can’t believe how quickly time flies. It seems just yesterday that my boys were in elementary school, and now I have my oldest off to college this week! I like the idea of using Avocado in a wrap…will try the same with my veggie wraps. Lovely clicks, Dara. 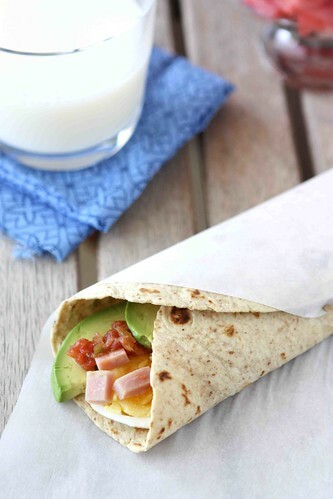 What a great idea for breakfast plus there are tons of yummy wraps to use as well! Glad to have found your blog – I was referred from the 4virtu Blog! That’s what I call a protein packed meal for a flying ninja boy. I have to say it looks like the perfect breakfast, lunch or quick dinner for all of us! Very good idea. I love the avocado in there too. I love that this is make-ahead. I need that these days, and I can only assume that once school actually starts I’ll be more in need of that. What a great idea. I’m always pressed for time in the morning and as much as I like a breakfast wrap, taking time to cook the egg isn’t always appealing. Having the HB eggs on hand makes this is a much healthier egg-salad variety — no mayo required and good fats from the avocado. This goes on the “to make list” for the week! The perfect nutrient-packed hand-held breakfast! 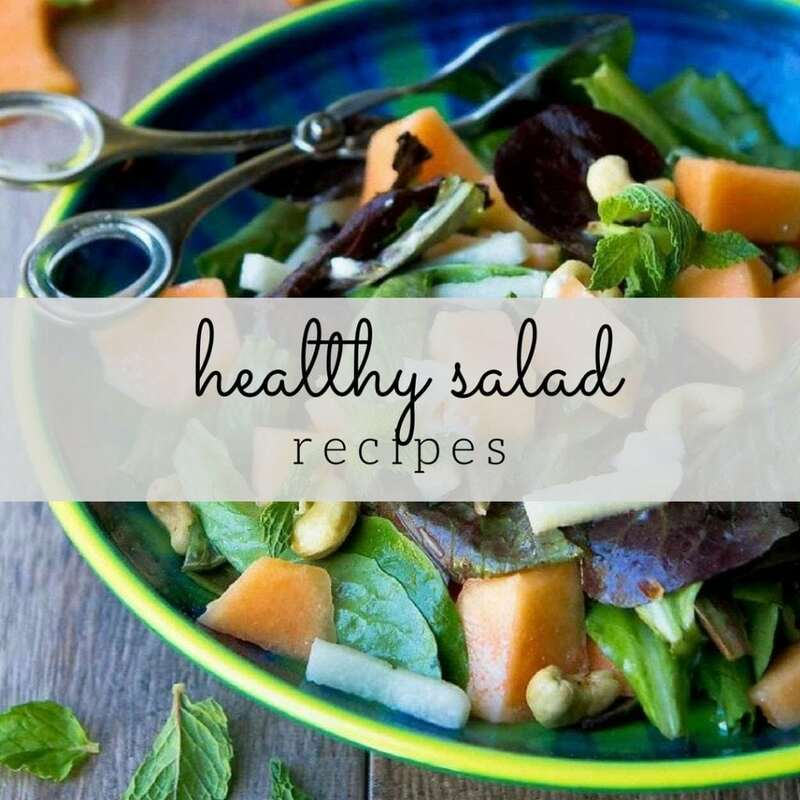 Great recipe and photography! Will share with other avocado and breakfast lovers on our FB Page/Recipes and Tips App with an incoming link! THANKS for the delicious recipe! This is looks super yummy!! Thanks for sharing!